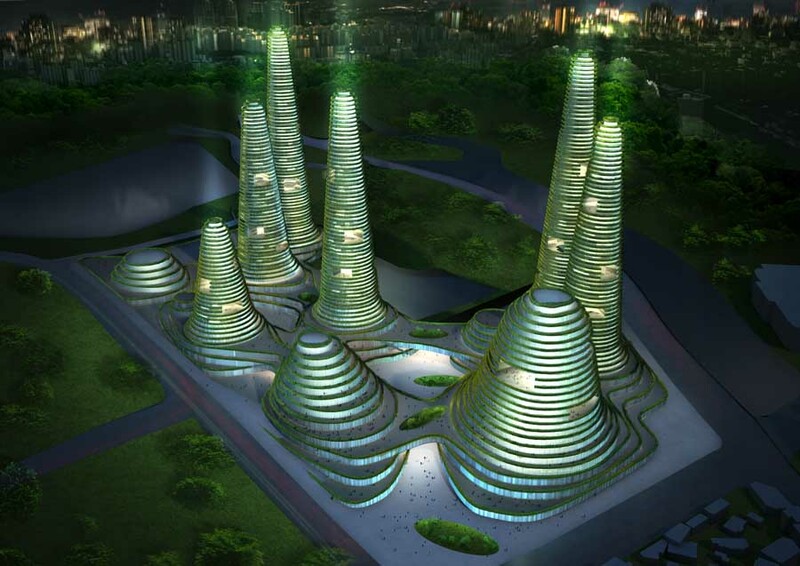 MVDRV is an (post)modern architectural and urban design firm well-known for their surrealistic interpretations of city living and fantastic visions for the future of urban design, but few of their conceptual designs see the bright light of day – or the cool layered lights of night, shown above in their winning design for a new city center in Korea. 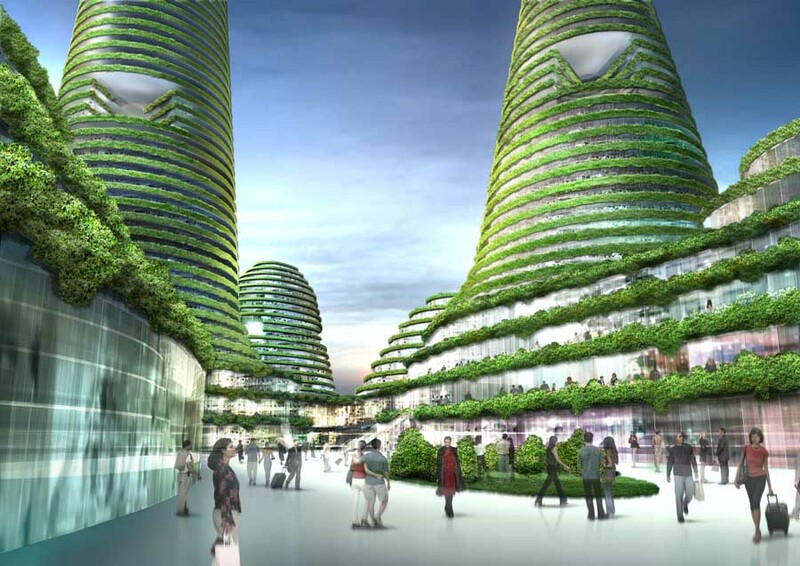 Gwanggyo Power Center is a fascinating vision of a future city lined with vertical vegetation. 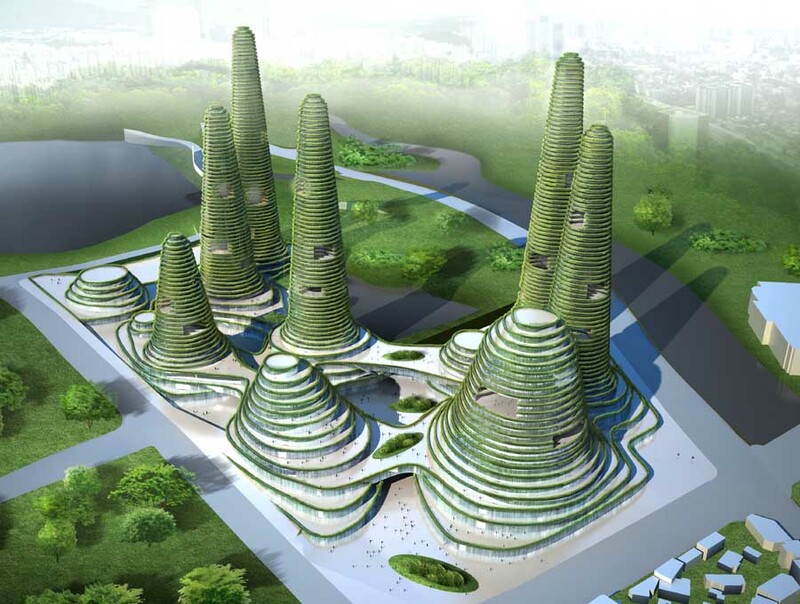 The mixed use set of mounded towers are at once clearly artificial but also layered with organic material, each level having its own green terrace to the outside world and exposure to the surrounding environment, natural hills that ring the new development. Live, work, shopping, entertainment and educational spaces are all built into the layers of this futuristic urban design. Exterior homes ring interior atrium spaces that are filled with institutional uses from stores and restaurants to museums and theater spaces. On the lower levels of the design, thin layers give way to thicker ones packed with commercial uses and common spaces for public interaction. 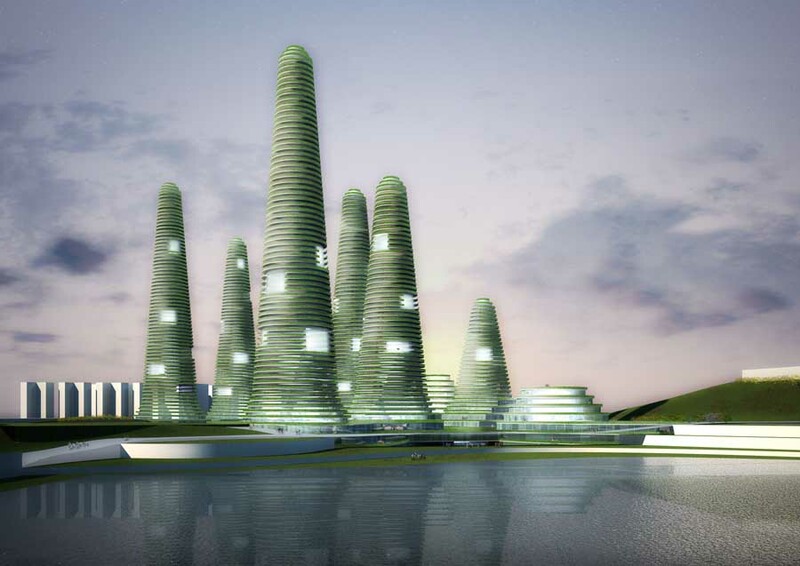 The cultural life of this self-contained sustainable city concept is focused internally yet the structural forms of the rising buildings and the box-hedged terraces that ring them speak to and have views out on the surrounding natural landscapes, tying this new urban design to existing environmental formations.